You will have unforgettable ice adventure on Lake Baikal by dog-sled, snowmobile and air-cushion vehicle. See Shamanka cliff and ice niches, visit Khoboy Cape and hike Ogoy Island. 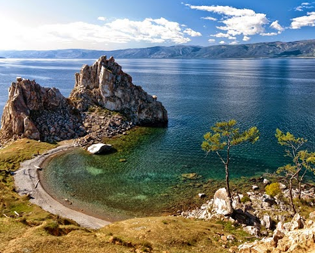 Visit tourist capital of Cisbaikalia! You have an excursion in the Baikal Museum and Show of ringed seals ahead of you. Address: off.102, 18, Lenin str. Address: off.201, 104, Nevsky pr.